#20 Yoke Press With Stainless Basket - F.H. Steinbart Co.
#20 Yoke Press with a stainless basket. 11L (2.9gal capacity). This makes a great small table top press for hobby wine makers. 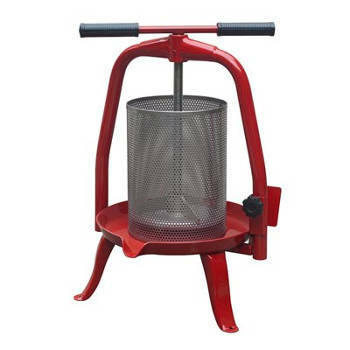 The hinged base on this press allows the user to beak the press down and remove pressed pomace quickly and efficiently. The stainless basket & base allow for fast cleanup and easy sanitizing. 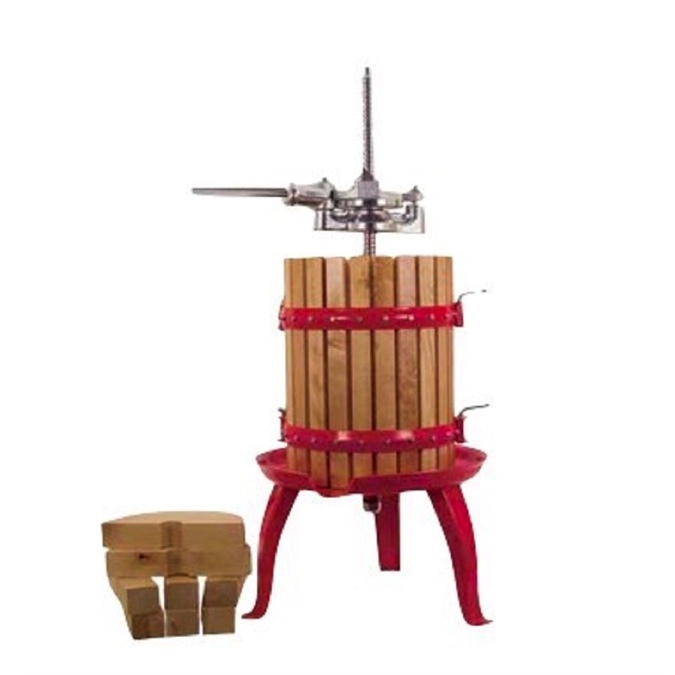 Ratcheting Fruit Press #30 W⁄ Wooden Sla Auto Siphon Screen - 1 1⁄8" X 21"